What better way to warm up this season than with a hot, delicious cup of hot cocoa? Check out 7 places to find some of our favorites here in Dublin. 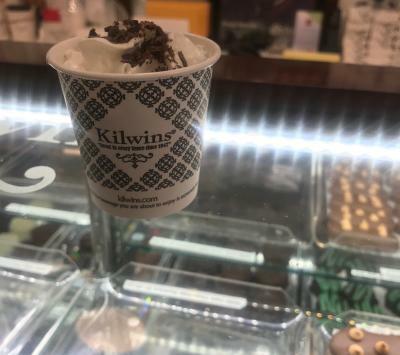 Made in house from Kilwins own chocolate, this sweet concoction will not disappoint. Pair it with some of their creamy fudge or a chocolate dipped treat for an extra sweet pairing. 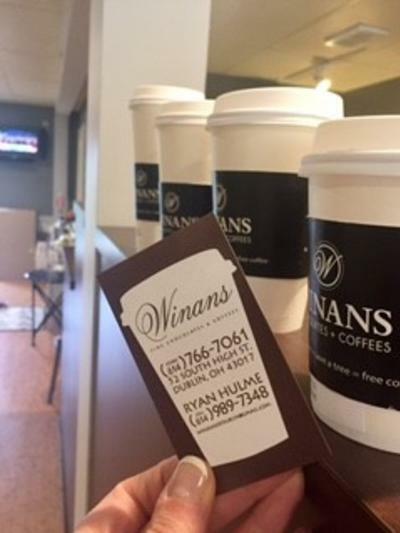 Winans is the place to go for anything chocolate, but hot chocolate especially! 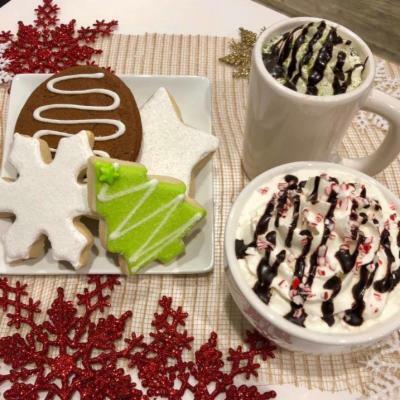 During the holiday season, stop in for something to warm you up and get a little something sweet while you&apos;re in. During the summer, Dells is a must go for a scoop of ice cream! But they do coffee, tea and other cozy beverages just as well. Stop in for a hot cocoa and maybe one of their assorted pastries. Don&apos;t let the name fool you! This unique hot cocoa will warm you up as much as the rest of them. 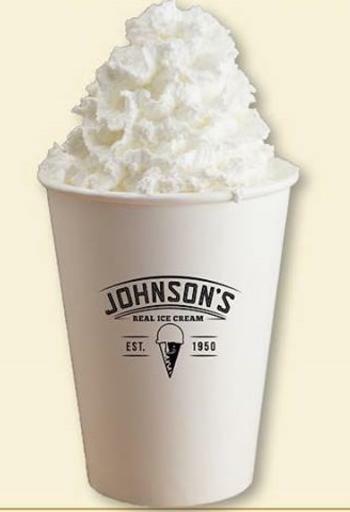 Johnson&apos;s Hot Chocolate float allows you to pick a scoop of your favorite Johnson&apos;s ice cream and add delicious hot chocolate to it. Top it with whipped cream for the perfect winter treat. La Chatelaine will transport you to a parisian cafe, without ever leaving Dublin. 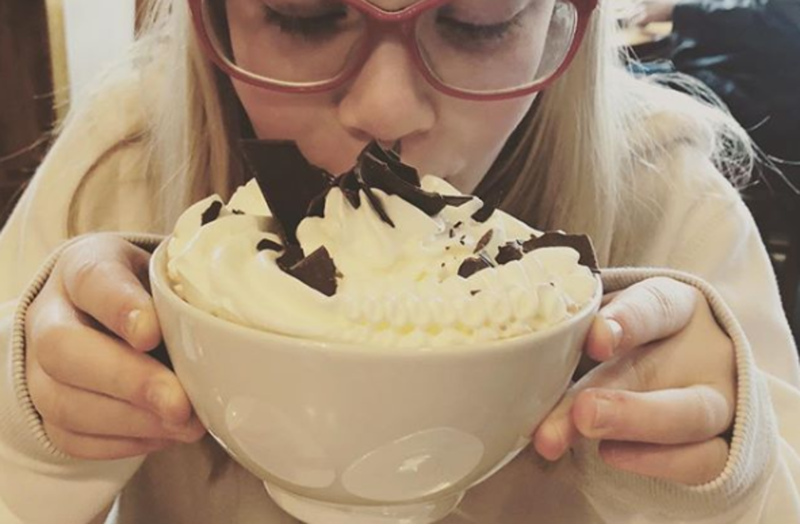 Stop in for a mug full of chocolate-y goodness, covered in whipped cream and chocolate shavings! 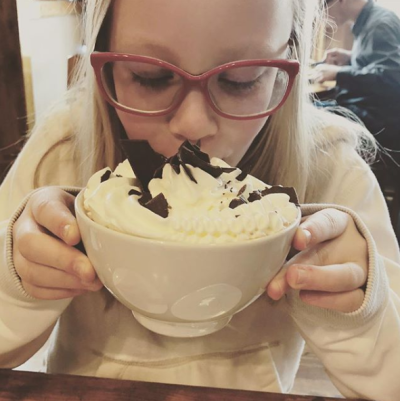 @sparklejs took her little one to enjoy this delicous cup of hot cocoa! 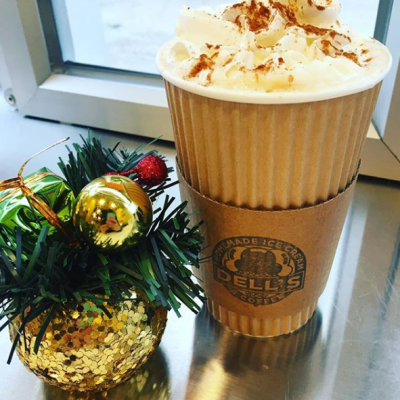 Head over to Bridge Park, admire the holiday trees and grab a hot chocolate from Sweetwaters! Stay and relax in their cafe or take your hot cocoa to go & explore Downtown Dublin. 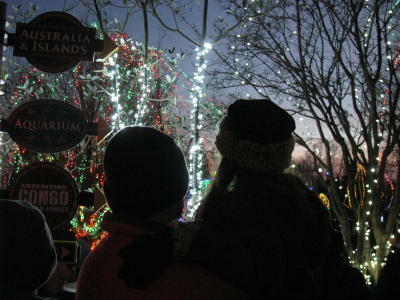 What could be more magical than sipping hot chocolate while seeing the Columbus Zoo all lit up for the holidays? You will find food & drink carts stationed around the property offering a little something to keep you warm as you explore this winter wonderland.